Tara McNeil knows exactly how her students will react to the Museum of Natural History’s newest exhibit: “whoa and ew,” she said with a laugh. The reason is because the exhibit showcases real human remains. 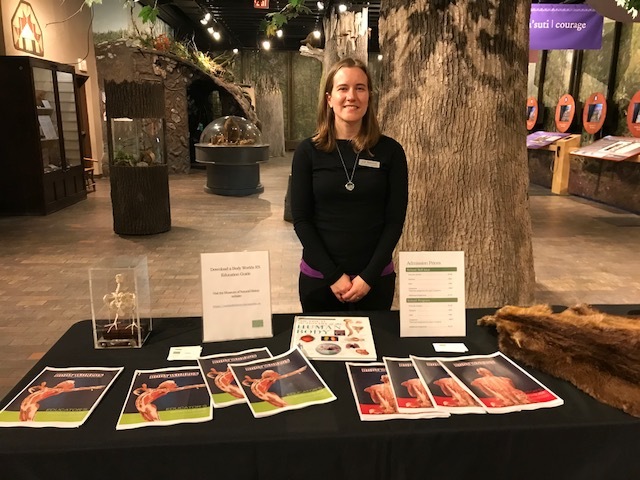 The Grade 1 teacher was part of a group of more than 100 educators invited to the Museum of Natural History on Thursday night for a free preview of the Body Worlds RX exhibit. For the exhibit, body parts and organs are preserved through a process called plastination. This is when fluids are removed from the body and replaced with plastics that harden. Laura Connors, who teaches Grade 7, said the exhibit would be a learning experience for her class. “I think they would love it, and if we can’t take them, I would encourage them to go on the weekend because I learned a lot and I think they would too,” she said. Cheryl Miller had a similar reaction. “The children are always interested in figuring out what’s real and what’s not, and this is the perfect place for me to teach them that. I can show them what smoking does to the lungs,” said Miller, an early childhood educator who works with four and five-year-olds. Liz Spence, the museum’s estate curator of interpretation, said the exhibit has drawn interest from all ages and areas of study, from arts to biology to phys ed. “They are coming more than once; they’re booking double visits. We’ve already had school groups of more than 100 students,” she said. Spence added that school groups from P.E.I. and New Brunswick have booked tours, something the museum doesn’t usually see. Gray said that the museum would normally approach schools to promote exhibits, but with Body Worlds RX, teachers have been approaching them. “With this exhibit, in the months of build-up, we had a lot of teachers asking, ‘What’s in this show and will it be appropriate for my class?’ And the answer is going to be different every time,” he said. More than 43 million people have seen the exhibit worldwide since its launch in the mid-1990s. 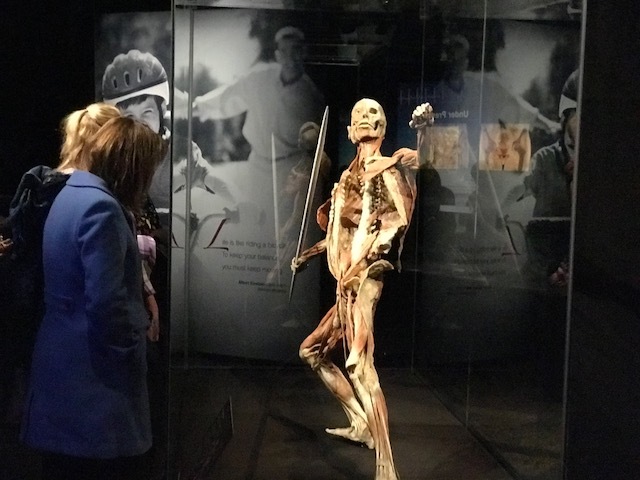 Body Worlds RX at the Museum of Natural History runs until April 22.